Want a gift that gives for all of next year? 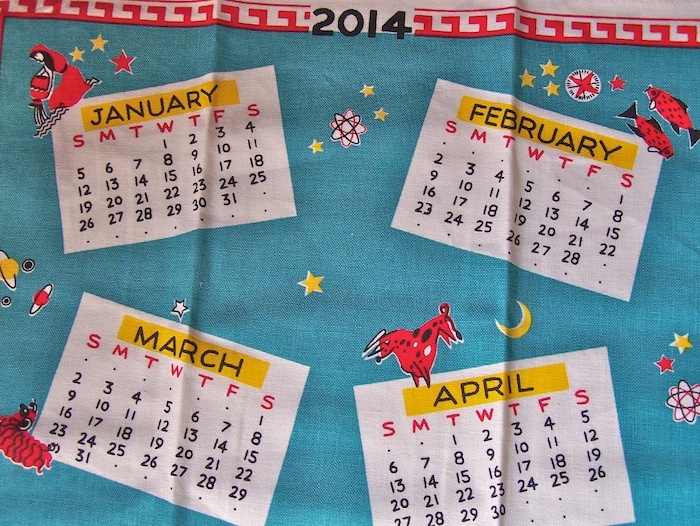 The 2014 calendar tea towels have arrived! The theme is astrological symbols. 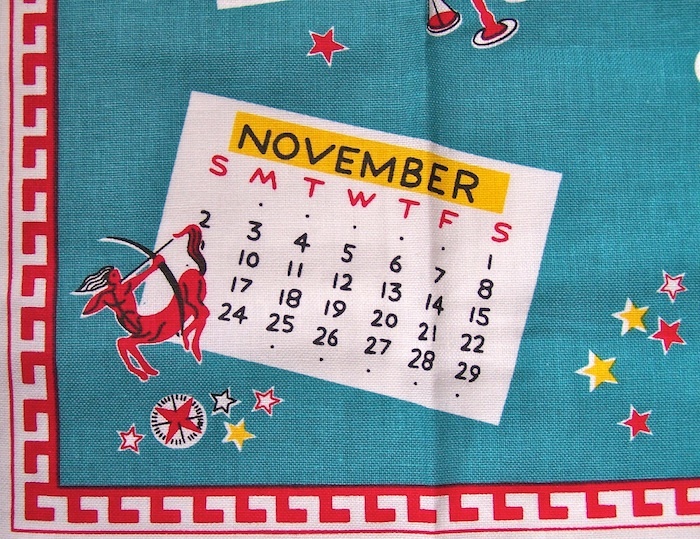 Although it’s only November, you can get a jump start on the gift giving season ahead. There are a limited quantity available. Grab one before we run out.